Introducing ThreeJars, a revolutionary new web service designed to teach kids about money and the importance of giving back! We make a parent's life easier by automating allowance. 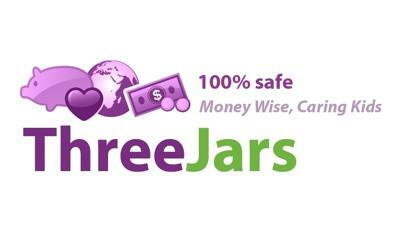 The name ThreeJars represents a child's save, spend, and share money. Kids (6-13) have fun, earning, tracking and saving their money, and are instilled with healthy money habits. ThreeJars is not a bank. We do not hold money. Although just launched, we have received the attention of financial expert and award winning journalist Jean Chatzky of NBC's Today Show, and the Fox Business Channel. You can also see our Founder and CEO Anton Simunovic on CBS on September 27. With back-to-school and family finances top-of-mind, there is no better time to get our children on the right financial path. 3. Teach concrete charitable giving. 3. Offer five free memberships to your community as you see fit (contests, give-aways, etc). To check-us out or write reviews, use promotion code VIP1234 at sign-up for a two week trial without needing to input credit card information. We know your time is valuable and that you want to be of service to you audience. Thanks for your consideration. Please contact us with any questions or to receive your Free Memberships. Join in and write your own page! It's easy to do. How? Simply click here to return to Share Your Organizing Tip or Idea.